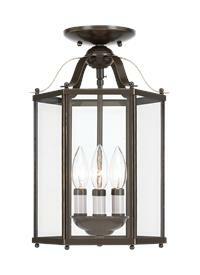 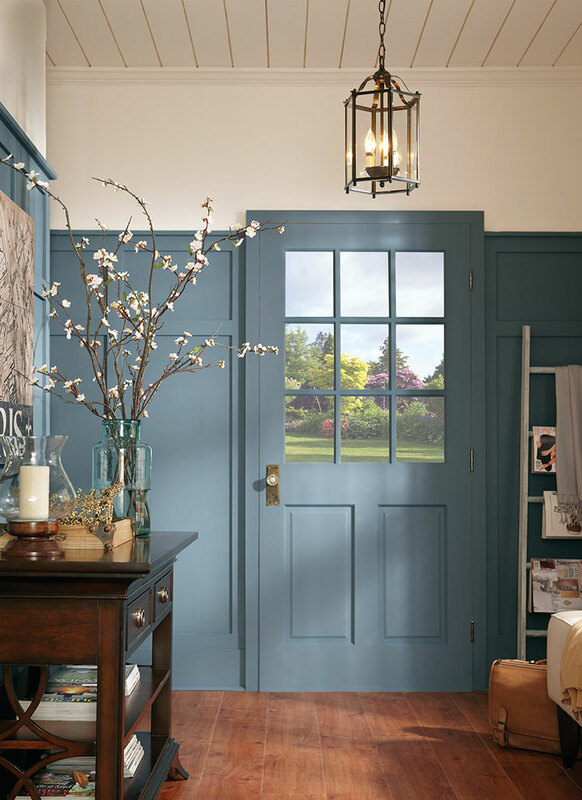 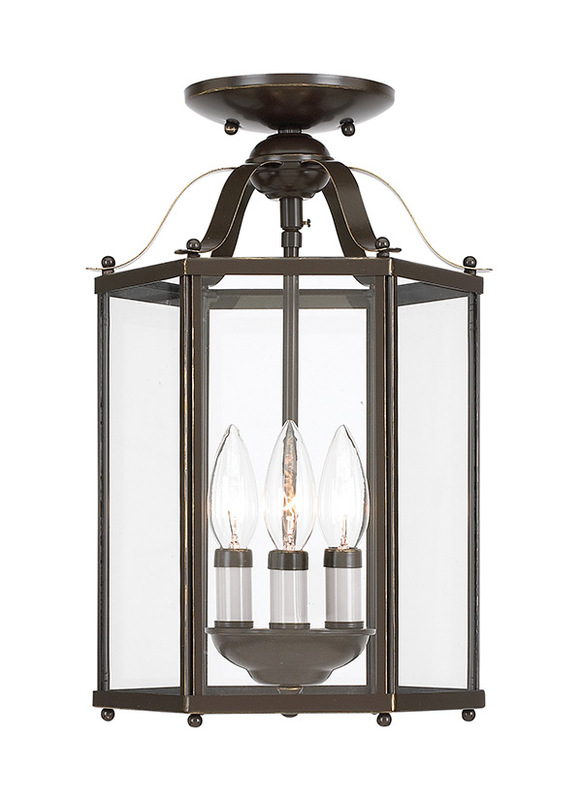 The Bretton pendant collection from Sea Gull Lighting features a classic six-sided lantern silhouette. 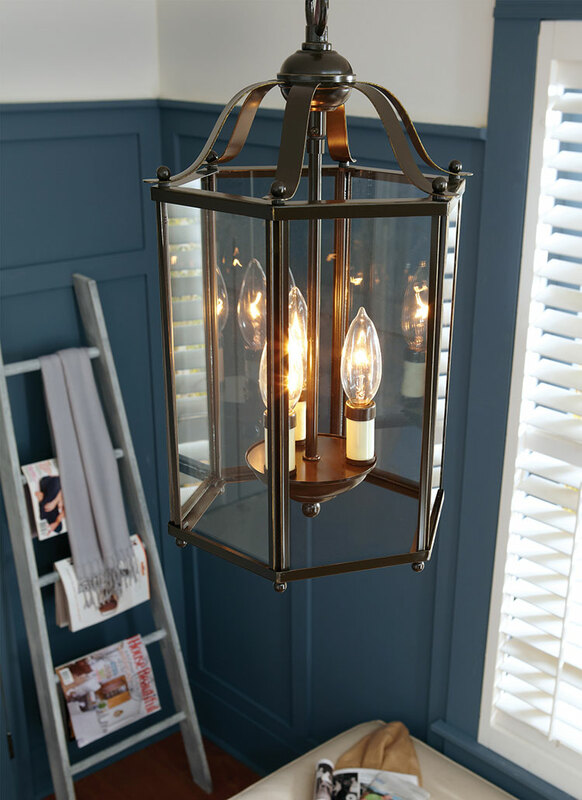 Offered in Brushed Nickel and Heirloom Bronze finishes, all with Clear glass, the fixtures’ charming style and candelabra bulbs will fill your home with generous amounts of illumination that welcomes your guests. 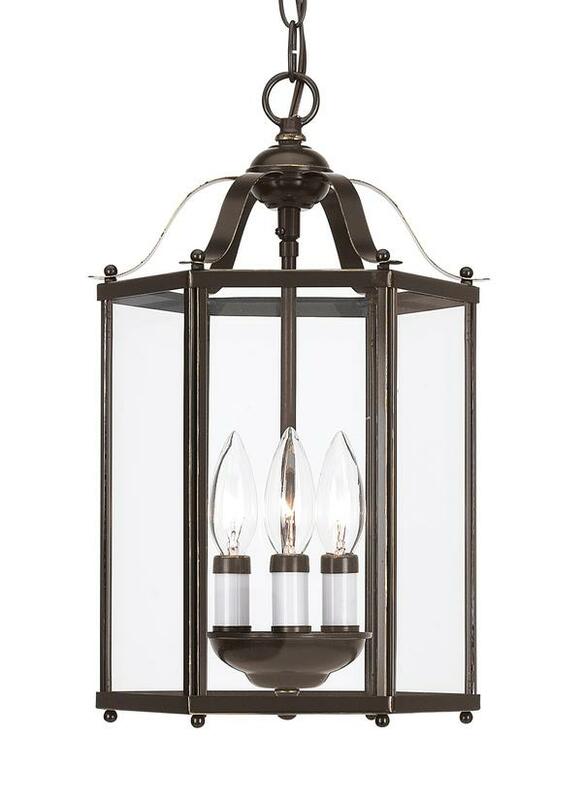 The assortment includes a two-light and three-light ceiling flush mount, two-light and three-light pendants which can also be converted into semi-flush ceiling mounts, along with a generous six-light large pendant which is perfect for a grand foyer. 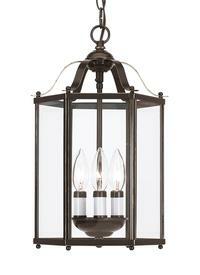 3 Candelabra B Torpedo 40w Max.